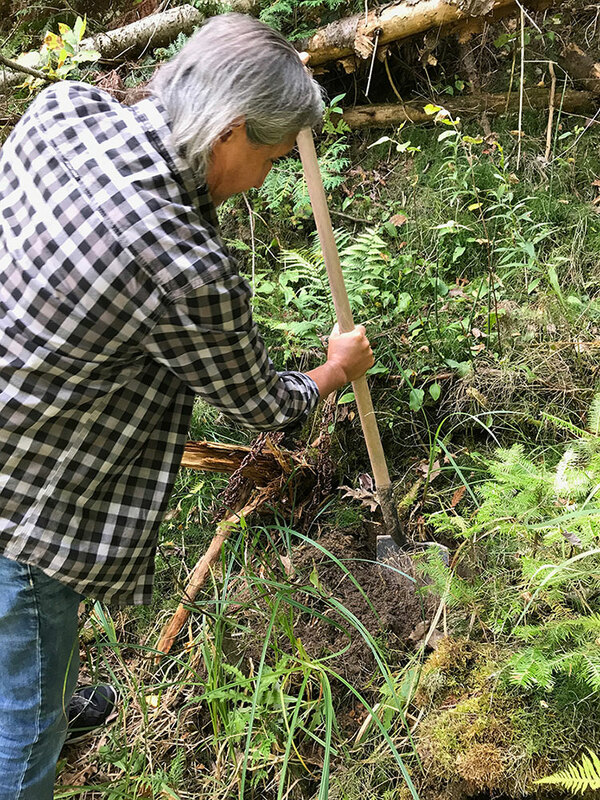 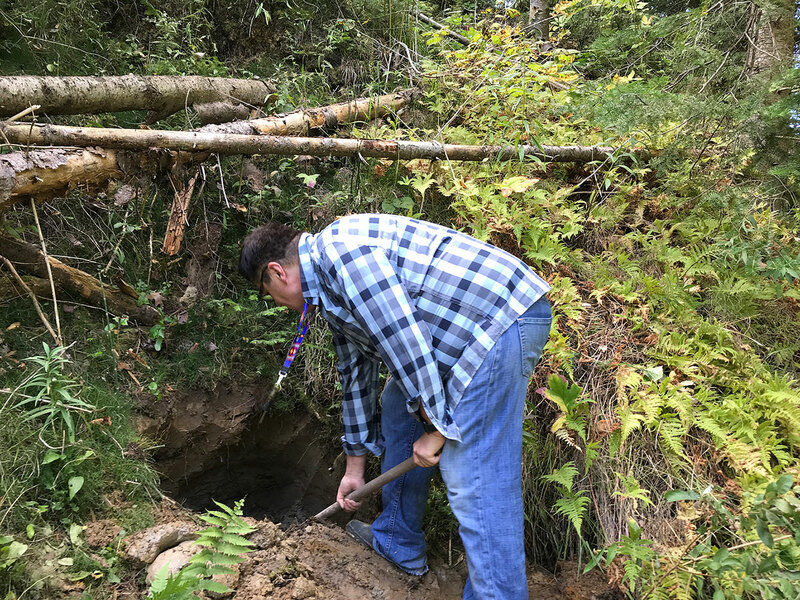 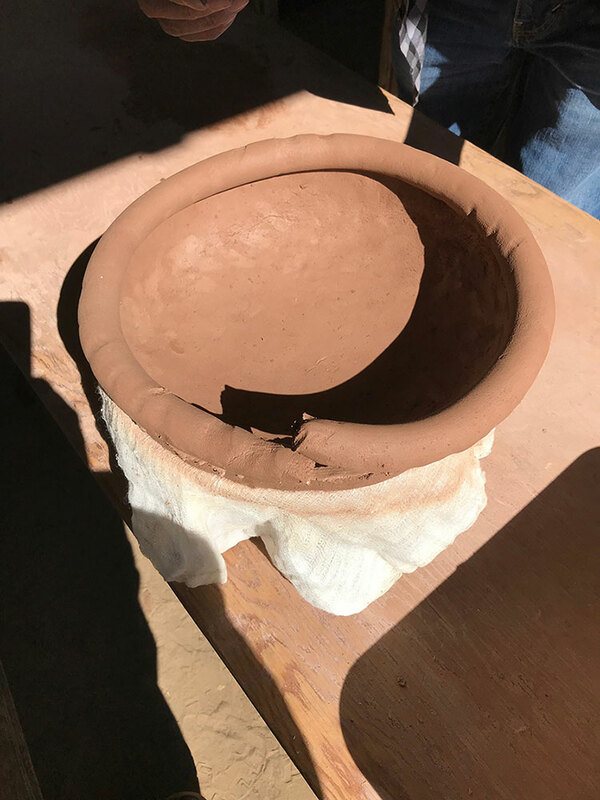 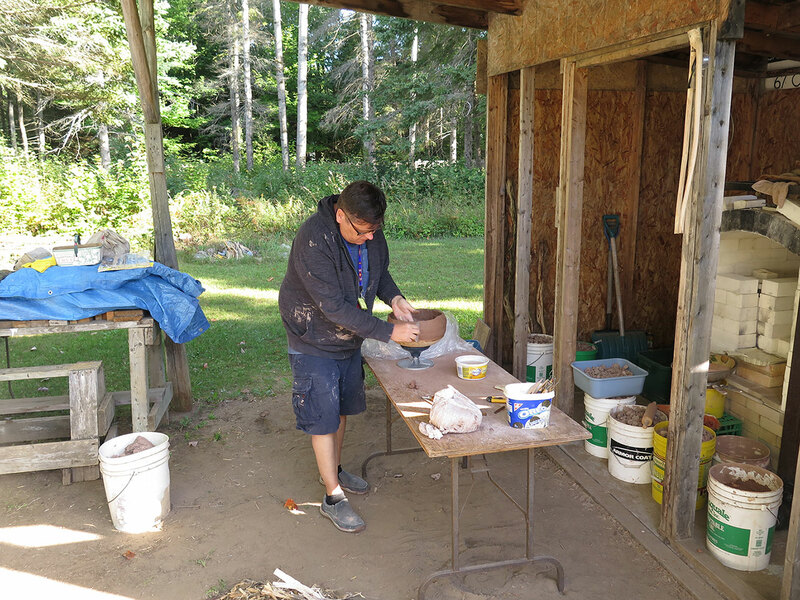 In preparation for his upcoming solo exhibition in 2020 at the Ojibwe Cultural Foundation, Ace is mentoring in his home community of M’Chigeeng First Nation with master Anishinaabe potter David Migwans. 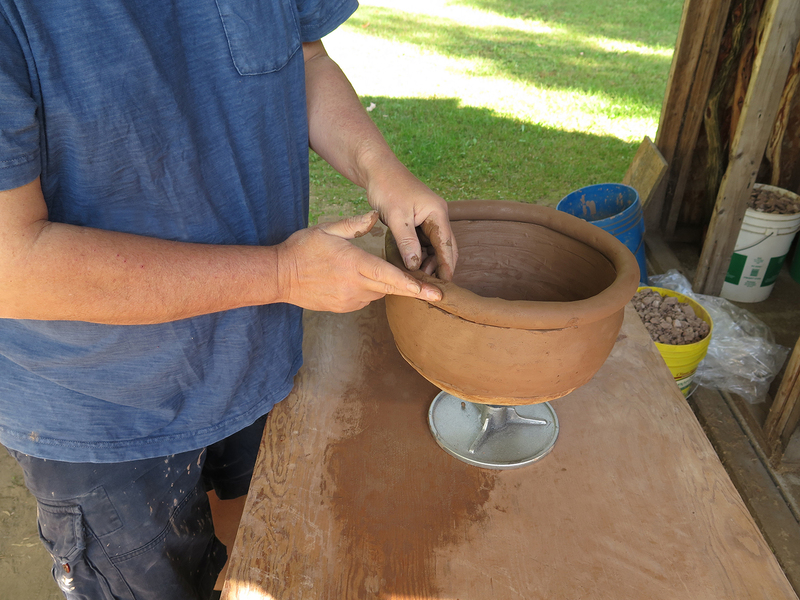 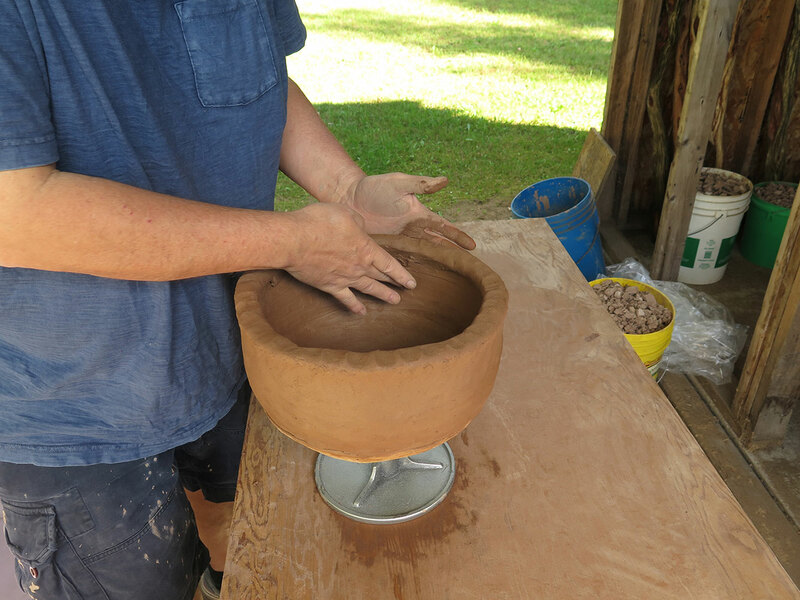 David learned to hand-make pottery without a wheel and further developed and refined his pottery techniques working along side his late cousin and artist Carl Beam. 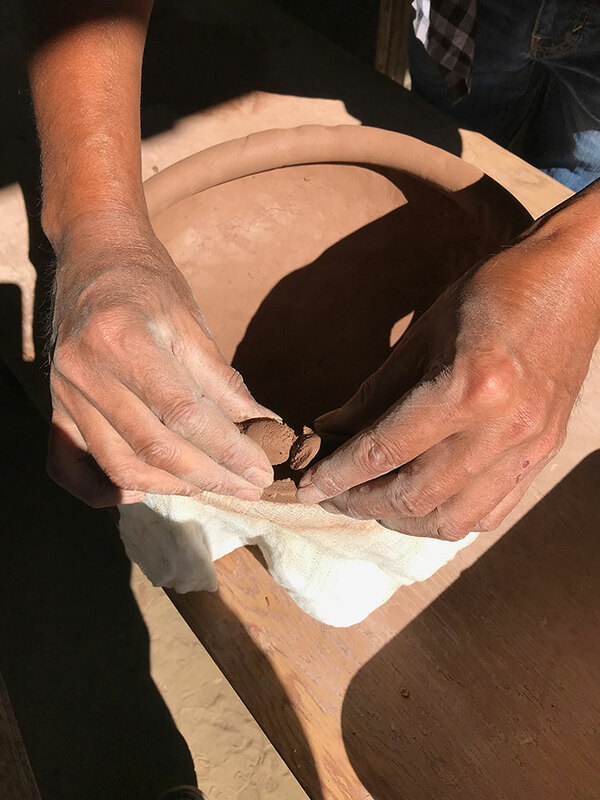 Reigniting his interest in pottery years after his ceramic studies at the Kooteney School of Art, Beam focused on southwest pueblo pottery, in particular Santa Clara pottery and Anasazi mimbres bowls, while living in Santa Fe, New Mexico with his wife and artist Ann Beam. 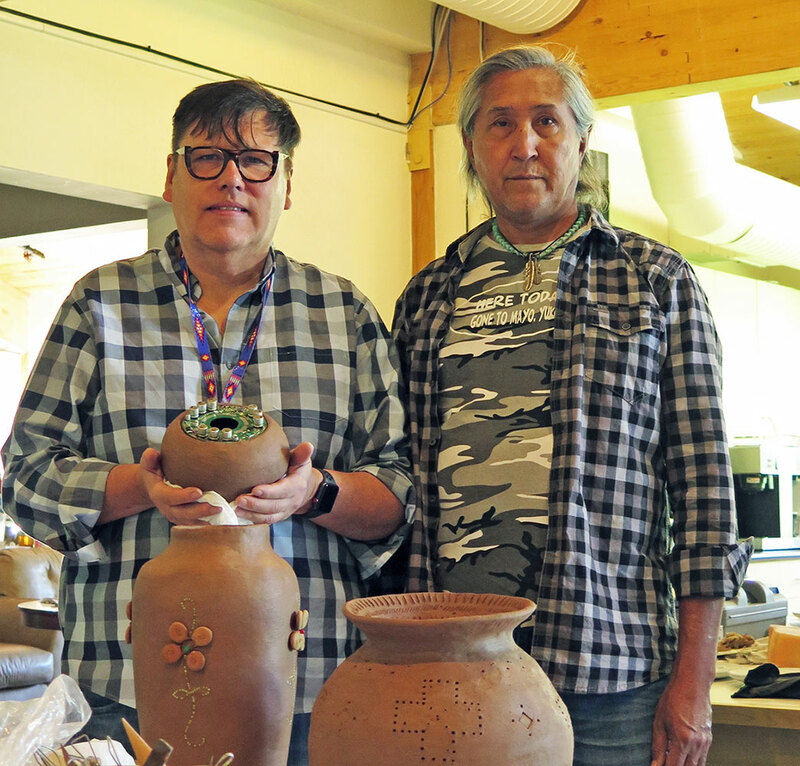 Upon their return to M’Chigeeng in the early 1980s, Carl and Ann along with David developed a prolific body of painted pottery works. 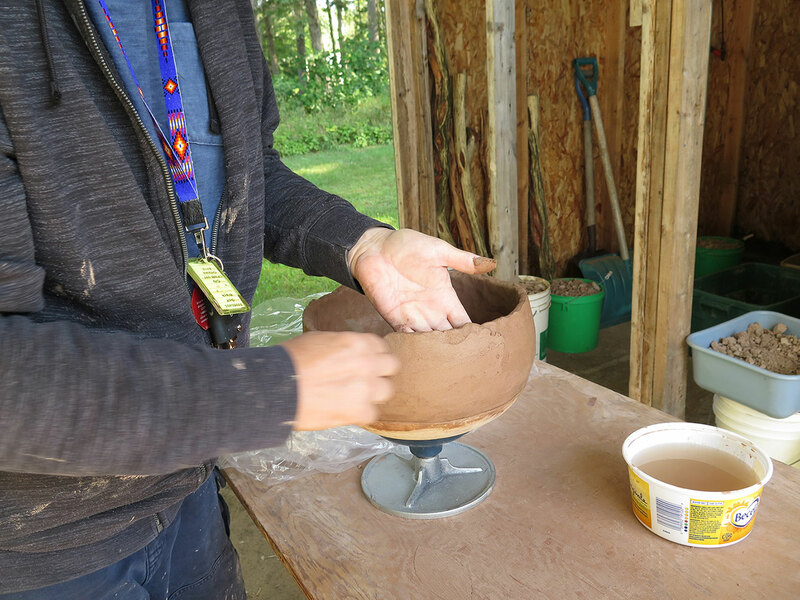 Working exclusively with locally sourced clay from Manitoulin and surrounding area, they experimented with different firing techniques and additives such as sand, minerals and other materials to give the clay strength, texture, colour, refractive qualities and to abate shrinkage. 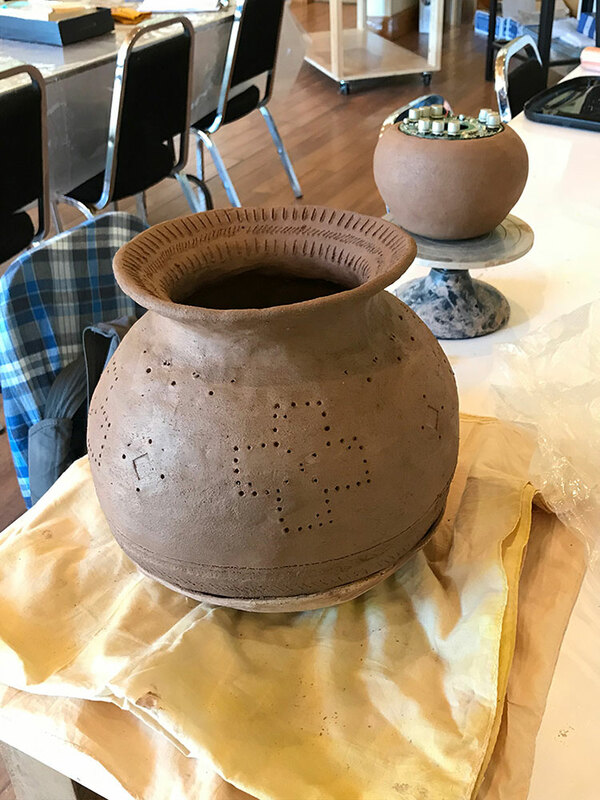 Decoration of the pottery included mineral and slip based natural paints and hematite polished surfaces in lieu of commercial paints and glazes. 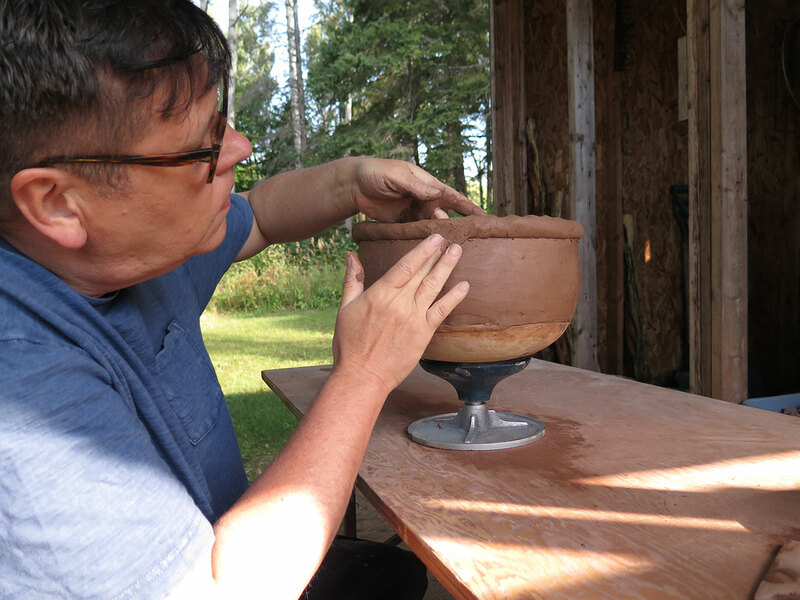 The premise for Ace’s exhibition is to examine the work of a specific Anishinaabe artist represented in the Ojibwe Cultural Foundation’s art collection and then to work with the selected artist to study process and learn technique in the creation of new works that incorporate an intervention of Ace’s electronic component work. 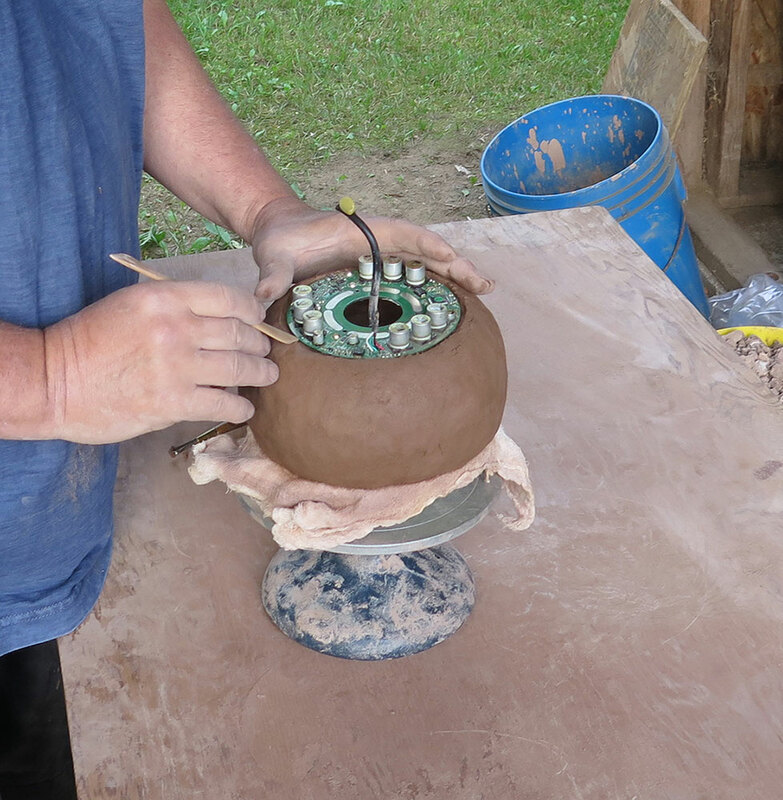 As a maker himself, Ace has always been impressed with the masterworks of artist David Migwans. 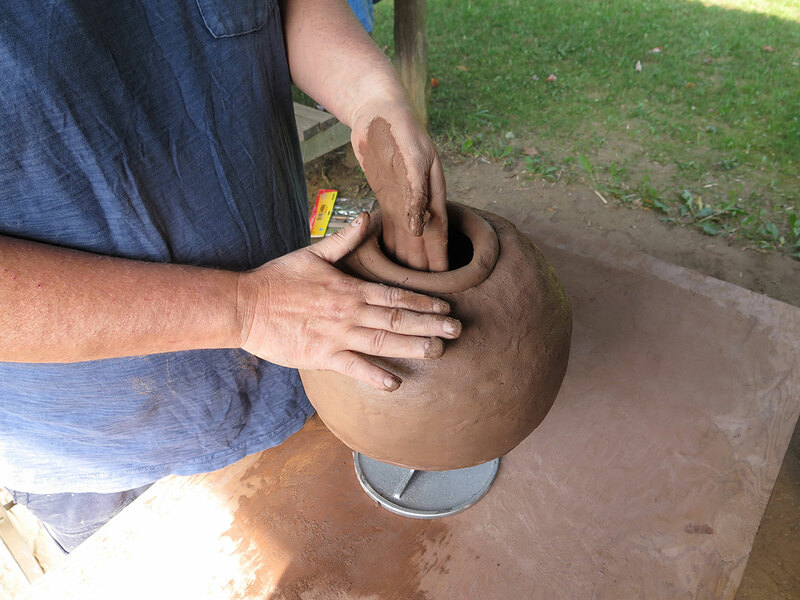 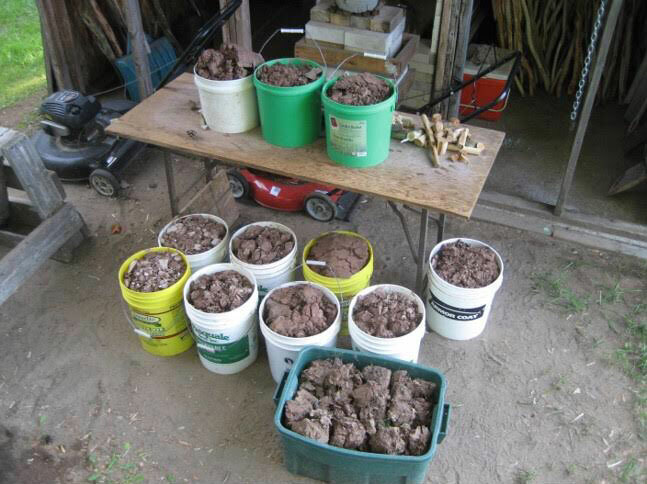 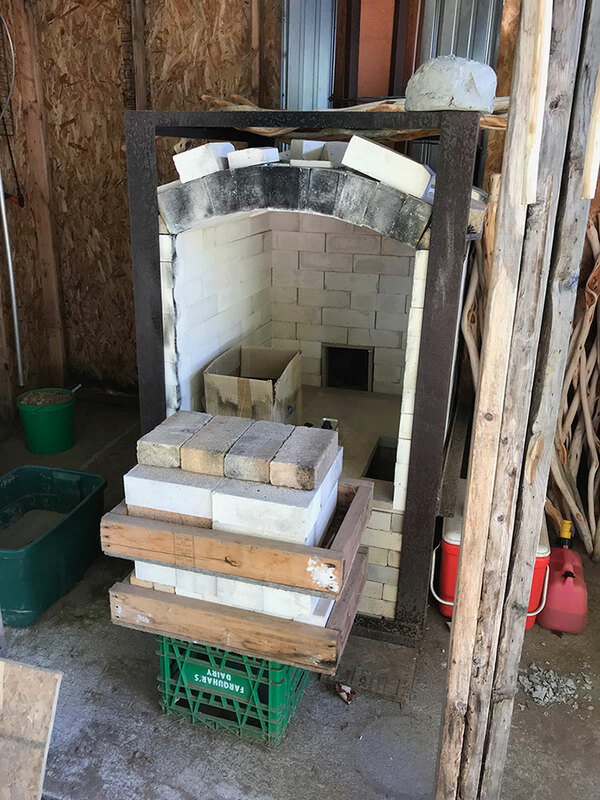 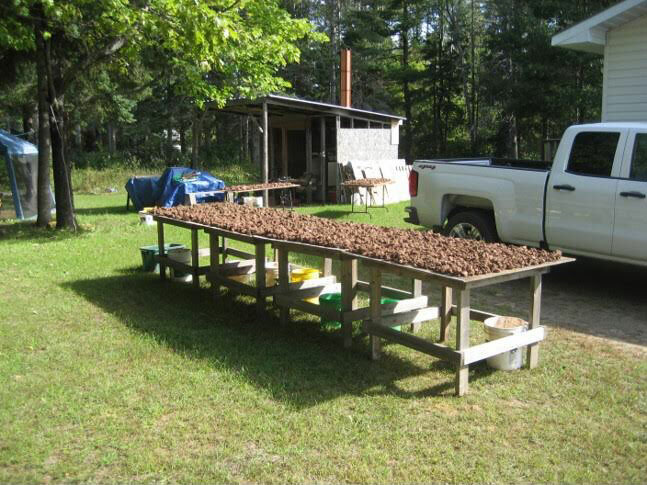 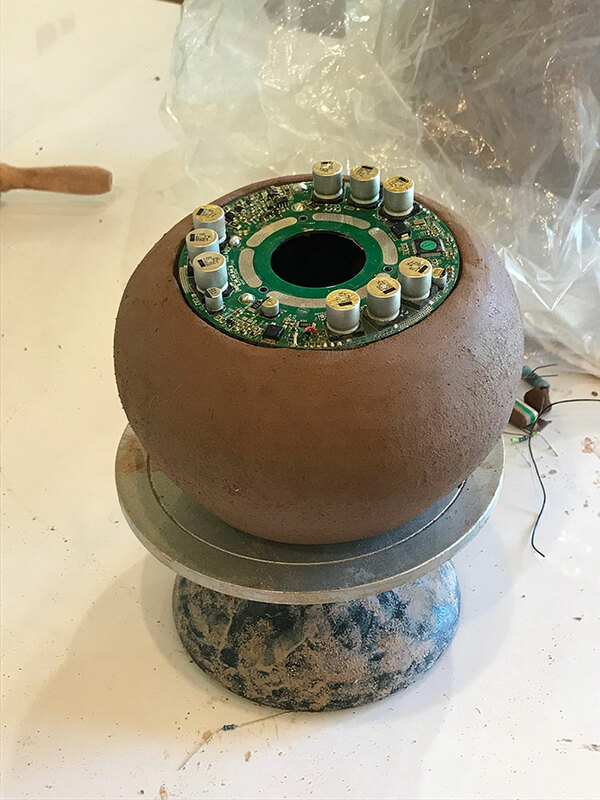 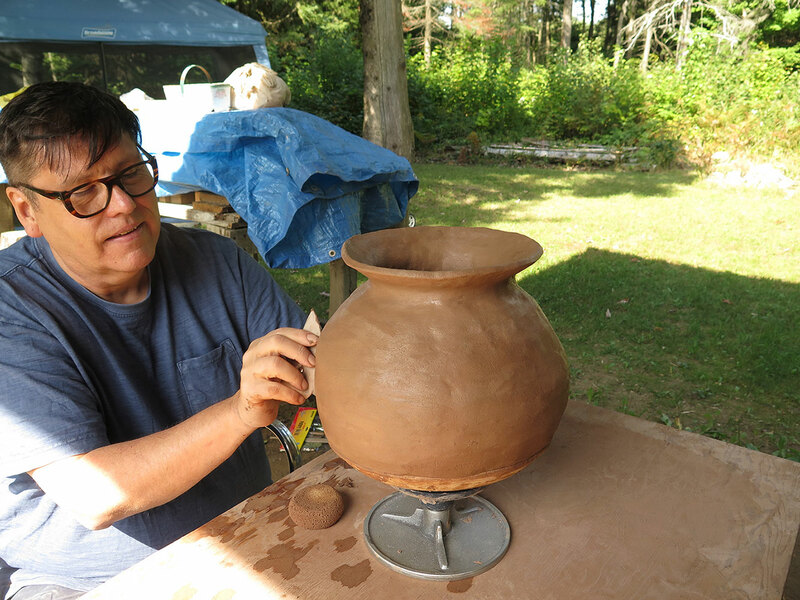 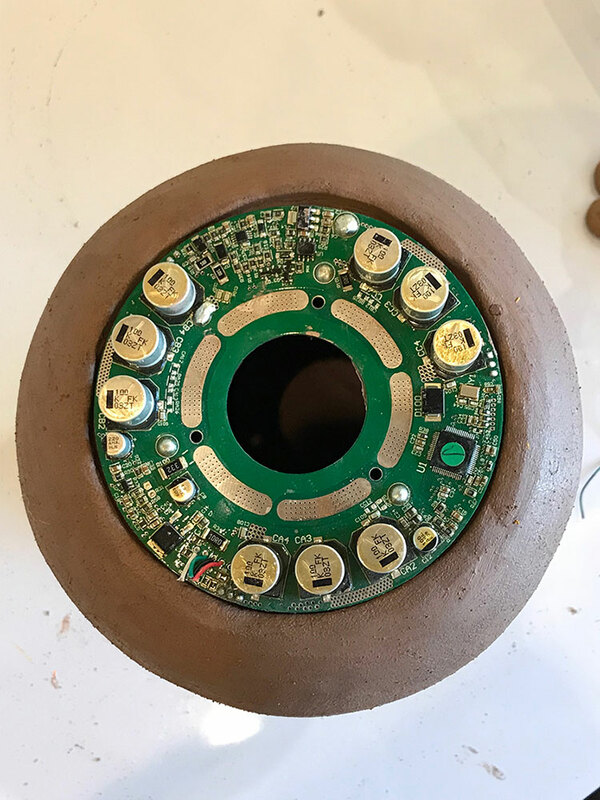 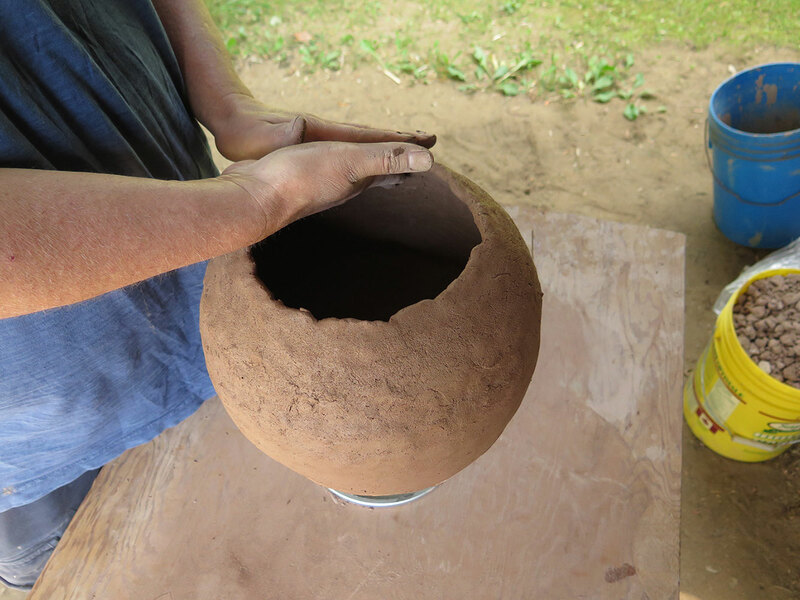 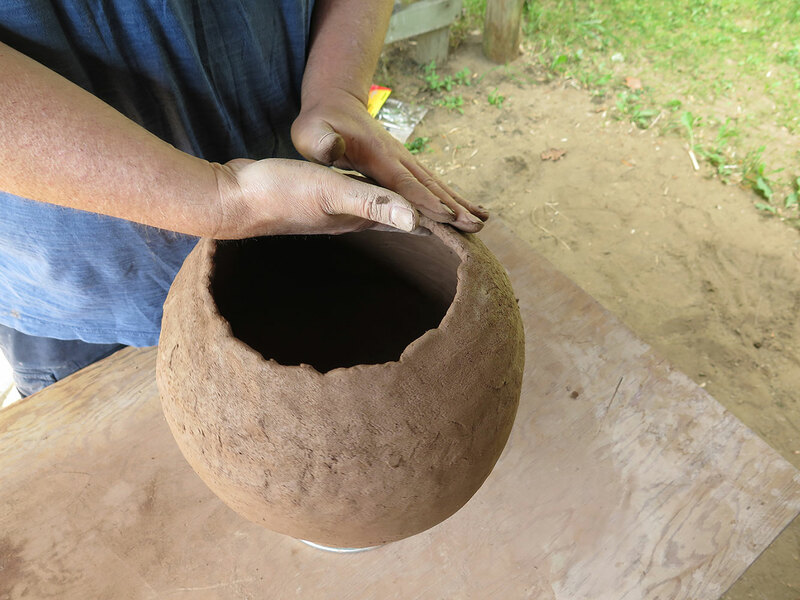 Working both at David’s outdoor home studio and at the newly installed pottery studios at the Ojibwe Cultural Foundation, Ace worked intensively with David Migwans to create several new innovative pots. 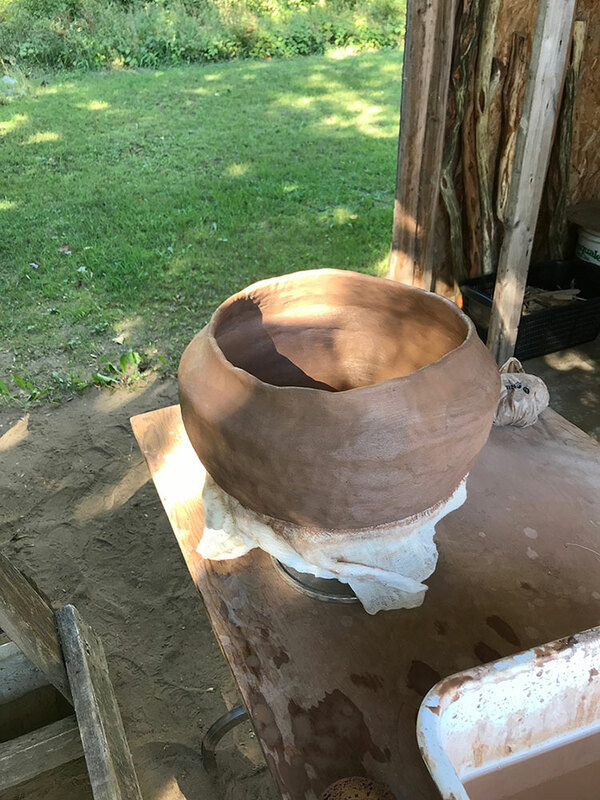 The importance of traditional-based learning environments and mentorship is unequivocally imperative to the art of learning to make. 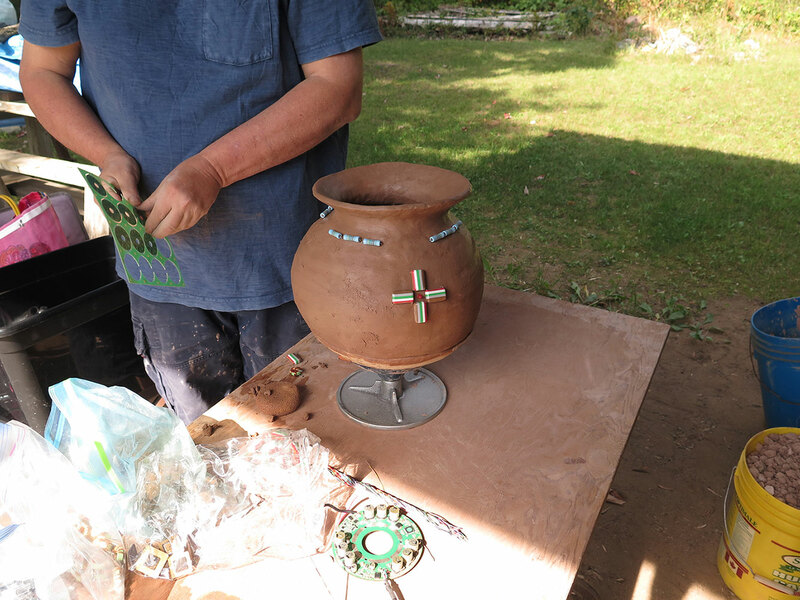 It is only through an exchange of traditional knowledge, shared culture-based experience and collective memory that we are able to truly define cultural continuity, as demonstrable through the longstanding confluence between the historical and contemporary of our deeply rooted and ancient Anishinaabeg traditions. 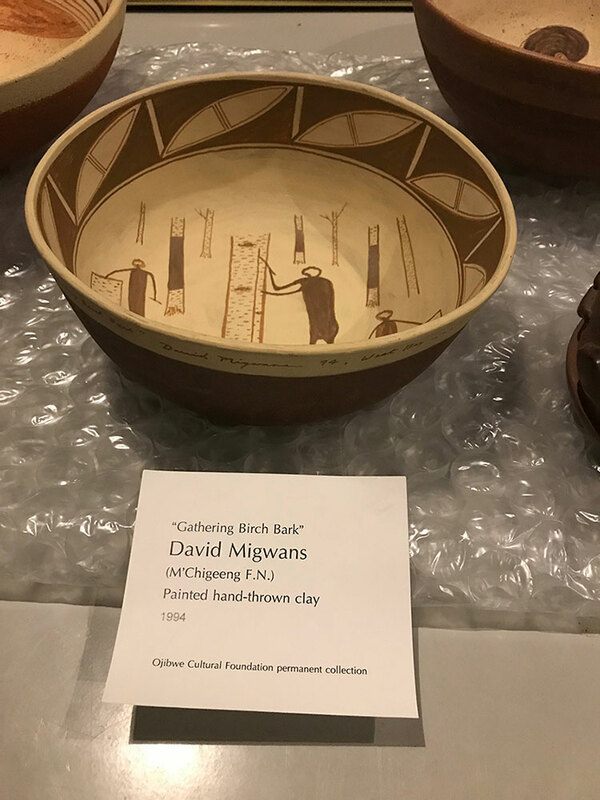 For Ace, the experience of working with David Migwans is a profoundly moving one, on so many levels. 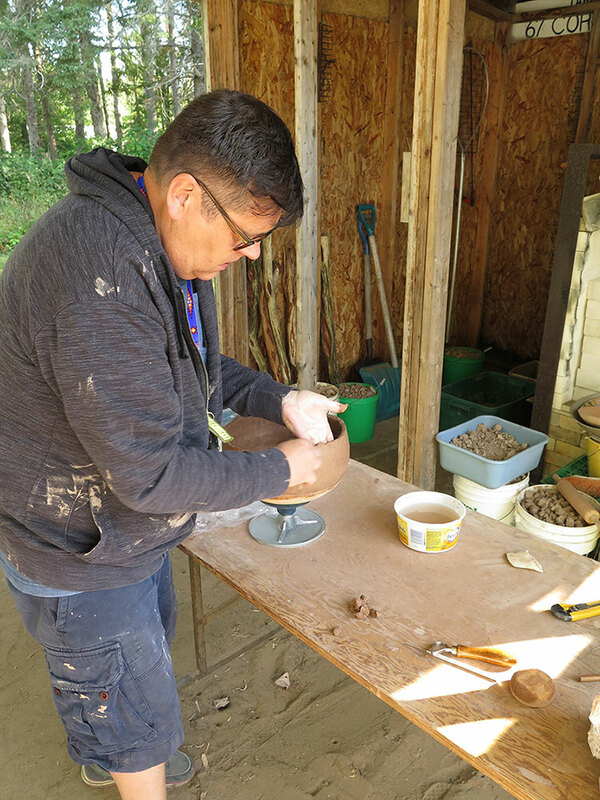 But perhaps equally profound is the literal connection as a maker with clay drawn directly from our homeland and the shaping of that earth into something tangible and meaningful, as a demonstrable sovereign act of being Anishinaabe.